Brynlie got sick New Year's Eve on the drive home from Cheyenne. 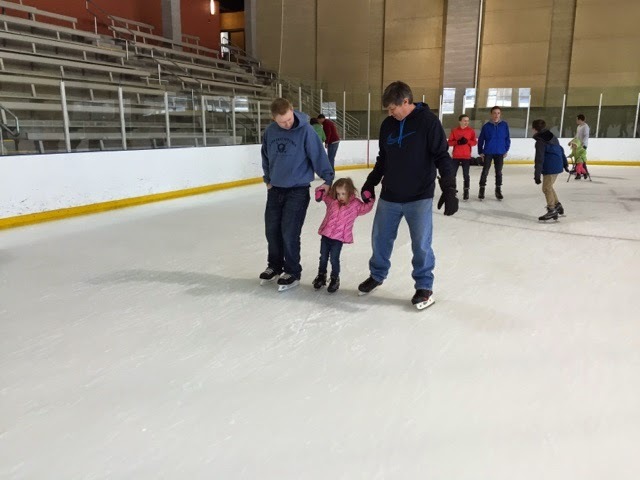 But regardless of her being a sad zombie, we decided to go to the annual Hagloch ice skating anyway. We were really excited to see everyone! It's been way too long! 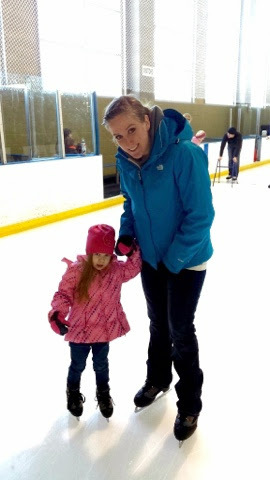 It was Kennedys first time ice skating. She kind of hated it at first but eventually got the hang of keeping her feet under her while being towed around by two adults. As a result of being one of those tow maters, I wasn't able to take very many pictures. But we got a couple. 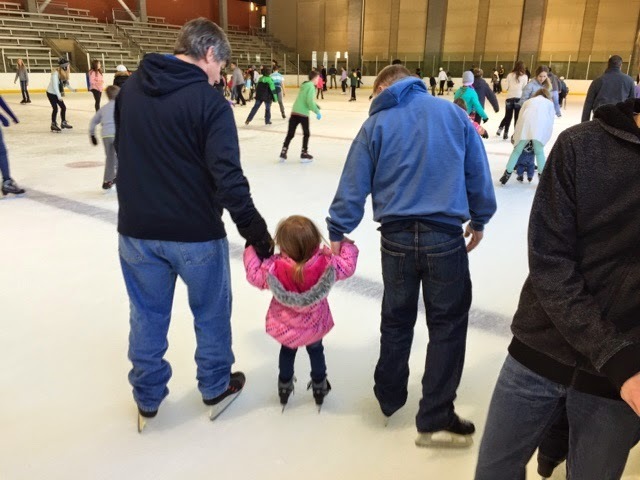 After a few times around the rink she saw Papa fly by and said she wanted to go with him. This surprised me because kennedy has always been afraid of the men in our family. And she rarely lets them touch her. 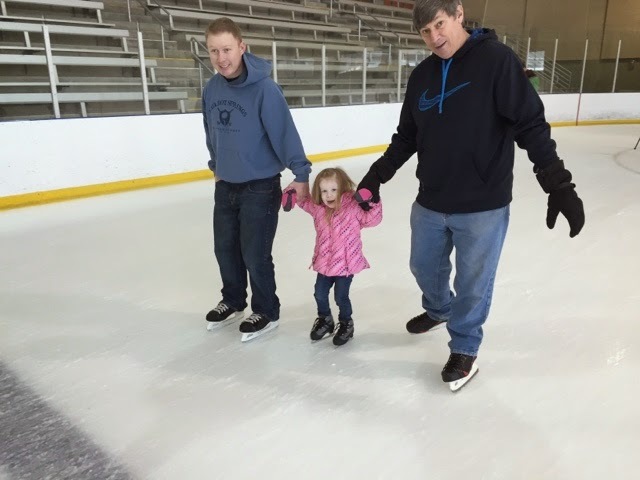 But recently she's been obsessed with Papa Hunter and I guess she decided he was more fun than I was. It was a precious moment! After ice skating we had a soup buffet at the church and got to talk and mingle with family. I have always loved how selfless and accepting corys family is. 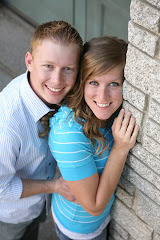 They truly make me feel loved and special. Heaven is going to be awesome!